Seaboard Brewery, Taproom & Wine Bar! We are the only Brewery in Matthews! Our beers are brewed on-site in our 5 barrel brew house! A variety of Seaboard Brewery beers are offered on tap daily including Silver Meteor IPA, Sunland Orange Honey Wheat, Tidewater Red and more. Check in daily as our brewer is busy offering new styles and varieties often. In addition to our Seaboard Brewery beers, we fill the remainder of our taps with a largely international selection of beers. We pride ourselves in offering some of the best beers from Germany, England, Ireland and more, plus we often rotate in hard to find selections from across the USA. You'll not find a tap list like ours anywhere in the Charlotte Metro area! 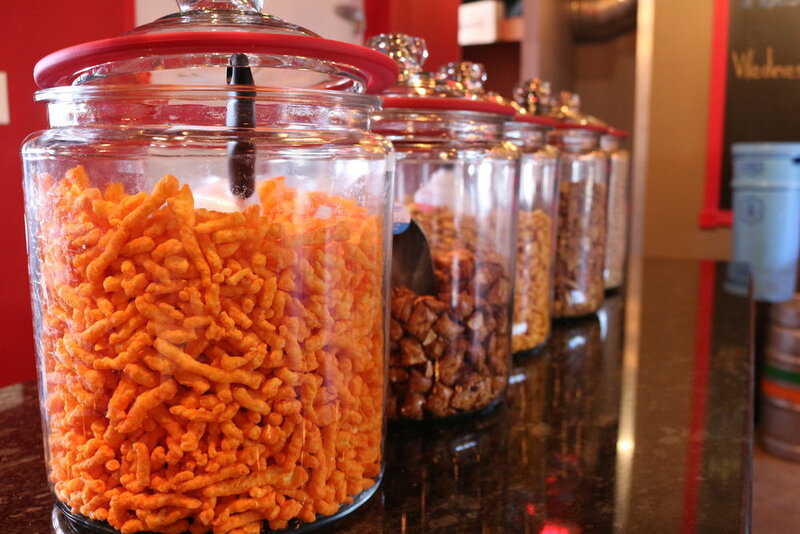 At Seaboard Brewery, Taproom & Wine Bar we have an impressive wine bar with a full retail wine shop. We focus on wines that are non-industrial and thoughtfully made from independent small producers. Enjoy a glass from our list or pick a bottle off of the wall to enjoy with friends. All of our wines are also available to-go with over 1,000 bottles to choose from! The Seaboard patio is home to the best pizza in Matthews! Housed in a small building beside the taproom, the Exchange Pizza depot offers 12" Neapolitan style pizzas, wraps, quesadillas, and more, all featuring fresh and (if available) local ingredients! 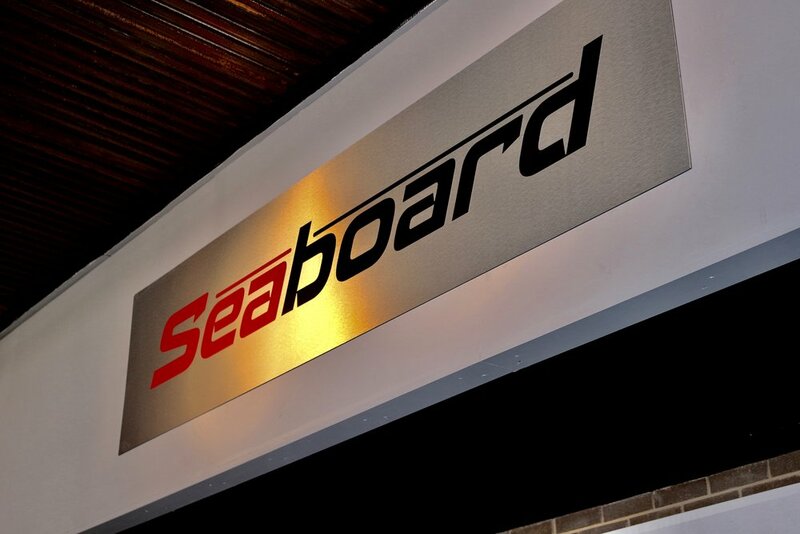 Seaboard brewery, Taproom & Wine Bar is home to the largest patio in all of Matthews! And if you're looking for something more quaint, enjoy the shade under the trees in our courtyard which sits between our taproom and our brew house! Current Draft List - Always available on Tap Hunter! Join our new, monthly wine club! Each monthly selection will be of great quality for the price and you can expect to see exclusive discounts over typical retail pricing. Variety. Your monthly collection will include 3 bottles, with seasonal influence on some varieties. Education. Expect to learn a little via personal notes from Kyle, our wine director, about the producer, the grapes, the growing region and food pairings to enjoy your wines. Perks. Not only will you enjoy 3 great wines a month, but you will also receive 10% off any bottle of wine purchased in the store, plus an extra discount on top of the existing 15% discount we currently offer on case purchases. You will also receive 10% off any of our wine events, such as our Wine and Chocolate pairings, Wine and Cheese pairings, Rosé Fest, and more! Other exclusive offers and discounts only available to wine club members will also be given throughout the year.